You can't have true multi-tenancy without Quality of Service (QoS). Learn how to guarantee performance and maintain reliable service levels in multi-tenant Hadoop production environments. We will talk about key use cases when QoS was imperative in an organization's multi-tenant cluster and show how they overcame these challenges. Sean Suchter, CEO of Pepperdata and one of the first users of Hadoop in production, will join us on this informative webcast. 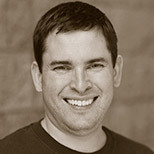 Sean has been working with Hadoop and distributed systems for more than 15 years. He was the founding GM of Microsoft's Silicon Valley Search Technology Center, where he led the integration of Facebook and Twitter content into Bing search. Prior to Microsoft, Sean managed the Yahoo Search Technology Team, the first production user of Hadoop. Sean joined Yahoo through the acquisition of Inktomi. He holds a B.S. in Engineering and Applied Science from Caltech.